In-house ultrasound imaging allows Carlos Hernandez, MD, to examine your growing fetus or get images of your pelvic organs. You can take advantage of diagnostic and evaluative gynecological and obstetric ultrasounds at the practice of Dr. Carlos Hernandez Obstetrics and Gynecology in Pasadena, Texas. To take advantage of the expert ultrasound services, call one of the offices or book an appointment online. An ultrasound uses sound waves to see inside your body. The test is noninvasive and painless. Ultrasound uses no radiation, so it’s safe for a growing baby and your internal organs. During an ultrasound, Dr. Hernandez or a specially trained technician runs the transducer wand over the area of your body that needs examination. This may be your abdomen or the lower pelvic area. In some cases, a transvaginal ultrasound gives the doctor a better image of your organs. In these ultrasounds, the wand is inserted vaginally. The transducer wand emits sound waves that penetrate through your body. When they hit an object, such as a fetus or pelvic organ, they bounce back to give information to a computer. The computer then gathers them to create an image. Who needs a gynecologic ultrasound? Ultrasounds are part of your routine prenatal care. Dr. Hernandez uses information from the screening to evaluate your baby’s gender, potential health concerns, and growth. Your symptoms determine which organs are the focus of an ultrasound examination. What symptoms may suggest I need a gynecological ultrasound? 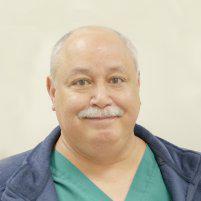 If Dr. Hernandez feels a mass or other irregularity during a pelvic exam, he may order an ultrasound. If you have symptoms that suggest a problem with the uterine lining, an ultrasound can offer important information, too. An ultrasound can help determine if you have an ovarian cyst or fibroids, but it cannot accurately see endometriosis. When is a transvaginal ultrasound in order? You may require a transvaginal ultrasound if Dr. Hernandez needs to view the lining of your uterus and ovaries. This type of ultrasound also allows him to evaluate the muscular walls of the uterus. In some cases, you may need a procedure known as a sonohysterogram. During this procedure, saline solution is injected into your uterus to allow for a more clear vision of your uterine lining during the ultrasound. For more information about OB/GYN ultrasounds, call the office or schedule an appointment using the online tool.